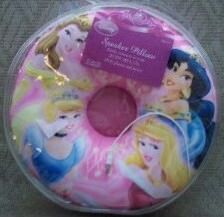 The Disney Princess speaker pillow is a great way to help your little Princess get a royal nights sleep. This pillow has a built in speaker and some awsome art work of Disney Princesses Belle, Snow White, Cinderella and Aurora on the top. Get your Disney Princess Speaker Pillow.